Origins and Instability of life, plus the design of plants, insects, fish, reptiles, and birds. Five Lectures. This fascinating series explores the mystery of life itself. What is life on earth about? What are the characteristics? 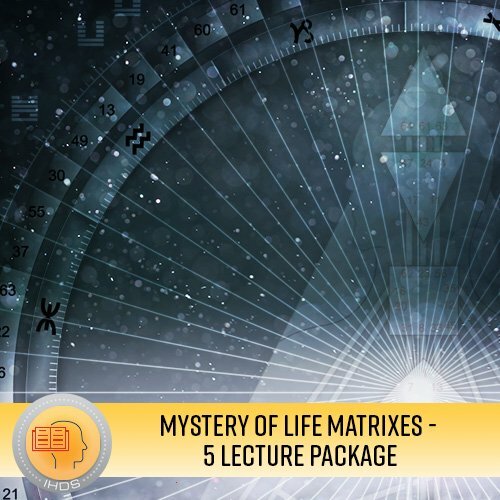 In the first half of the Mystery of Matrixes we look at the basic questions about the origin of Life and it’s inherent Instability through the lens of Human Design. The Life Matrixes can be divided primarily into the kingdoms of plants and animals. In the second half of this series, the plants and two examples of the major different sub-regnums, insects and fish, reptiles and birds will be examined. Lecture 1: The Origin of Life - When does life start? What is life? Biologists have set parameters for life and have hypotheses when life began to emerge in our cosmological history, but it is still a miracle. In this lecture there will be a Human Design perspective on these questions as well as a scientific correlation to get a deeper understanding for the miracle of life. Lecture 2: The Instability of Life - The paradigm of life is that it has a beginning and an end. And scientists want to solve the question of why there is an end, or death. In Human Design we can go deeply within the construct of life and find the answer to why life has to end, because the construct itself is unstable. This lecture gives an extraordinary insight into why life is temporary. Lecture 3: The Plant Matrix - Plants are of enormous importance to the ecosystem and can easily be distinguished from animals. They are usually fixed in one place and use the mechanism of photosynthesis. The Design of Plants reflects the differences between animals and plants. This lecture gives you an insight into the mechanisms of Plant Design and the biology. Lecture 4: The Insect Matrix - The different structure of insects is obvious in seeing their segmented bodies supported by a hard outer covering. They are the largest and most diverse group of animals. The design of insects shows why they form the rhythm of nature. This lecture gives you an insight into the mechanisms of insects' design and the biology. Lecture 5: The Matrix of Fish, Reptiles and Birds - Although fish, reptiles and birds seem to not have much in common, they share the same evolutionary pathway. After all, they belong to the one sub phylum of vertebrates and this fact is shown in the design of their life forms. This lecture gives you an insight into the mechanisms of the design of these life forms and the commonality in their biology.